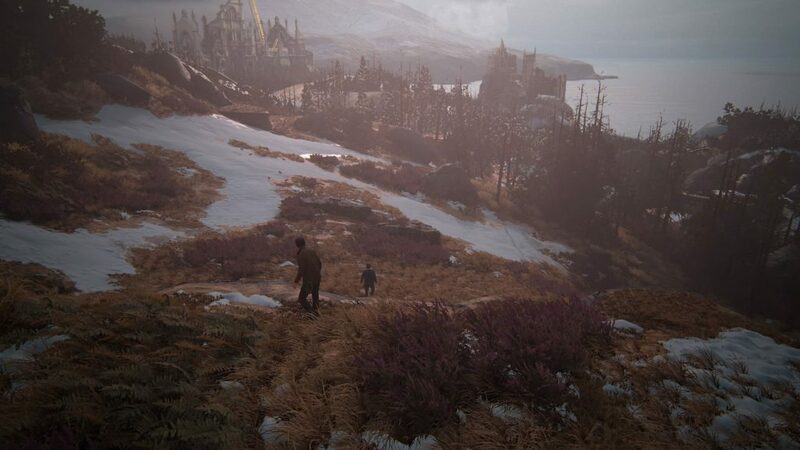 Uncharted 4: A Thief’s End is a PS4 console exclusive game. When I originally bought my Xbox One I foolishly decided that the Xbox platform had better exclusives. Boy was I wrong. 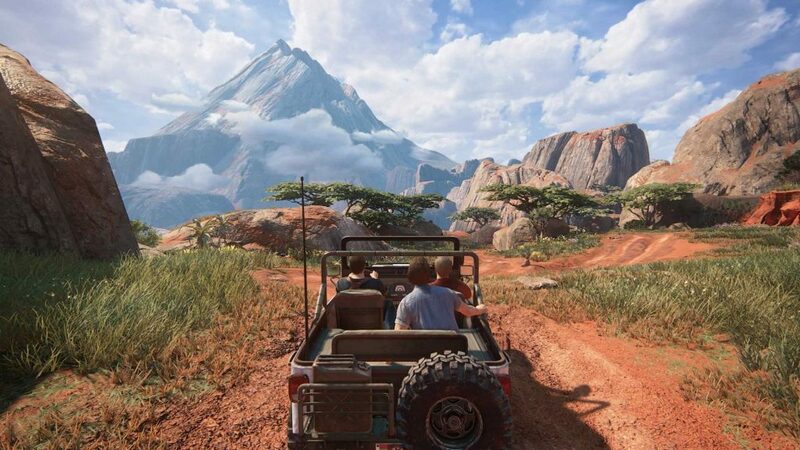 Uncharted 4 is the fourth title in the series from Naughty Dog studios. 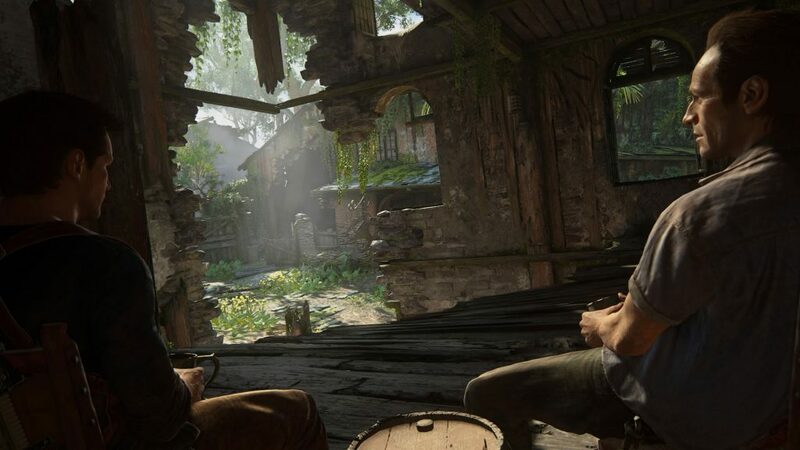 The Uncharted franchise follows the story of Nathan Drake who is essentially a modern day Indiana Jones. 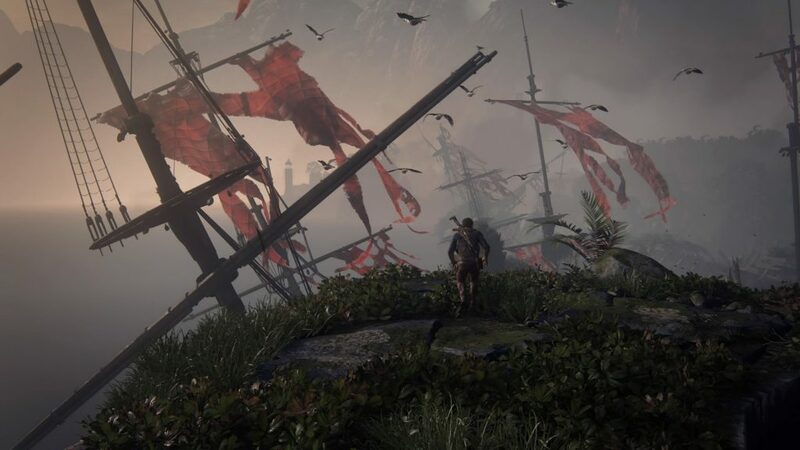 While I haven’t played the first three games in the series, I was aware that this one was going to be the epic conclusion of the Nathan Drake saga. The gameplay is best described as a “Cinematic Experience”. Essentially you move from point A to point B and a whole lot of cool action and occasional puzzle solving in between. I was actually quite surprised by all the action. It sometimes felt like a Mission Impossible movie mixed with Die Hard. It was an experience that I probably won’t forget. 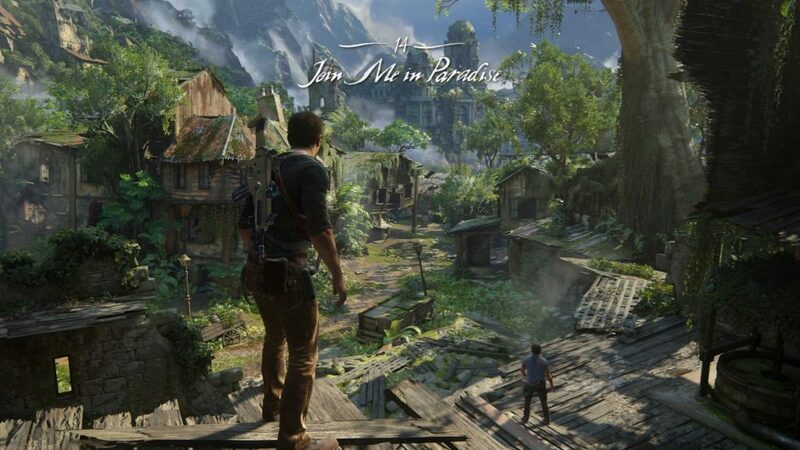 As I mentioned earlier, this is the fourth title in the Nathan Drake Saga. I was worried that I would have needed a lot more knowledge on the saga but luckily not. It is a great way to introduce yourself to the story even though it’s at the end. Nathan Drake is now a married man. He no longer goes on dangerous missions to hunt treasure. His life has calmed down considerably and while he is very happy, he still has the itch for adventure. 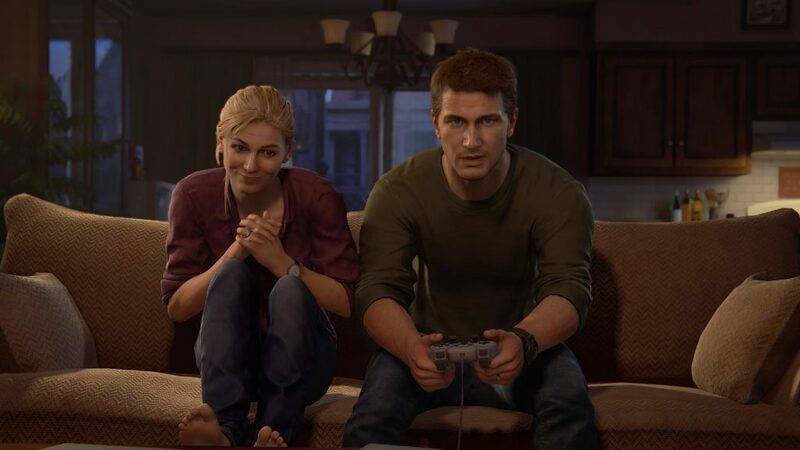 Don’t worry though, Uncharted 4: A Thief’s End is not a 3rd person marriage simulator. His perfectly calm life is then thrown into chaos when his supposed dead older brother, Sam shows up; and he’s in trouble. The story itself was a very “human” story, it felt very believable. We watch and actively take part in Nathan’s story as he makes very normal human mistakes while also doing the unbelievable. Nathan also has quite the sense of humor. He is someone who is often sarcastic and it’s usually not at the best of times. His humor really adds to the overall experience to just remind you that even though some serious stuff is going on, just remember to have fun. I was impressed by Uncharted 4’s ability to tell an amazing story while still being a 3rd person action adventure game. The story has a very natural progression while being a tiny bit predictable. Nevertheless, the story had decent pacing and every action scene was better than the last. This was an extremely well build experience where the story didn’t feel forced in any way. This was my first PS4 game so it had a lot of expectations to live up to. One of the best aspects of this game was the graphics. While I wouldn’t dare dethrone The Witcher 3 as the best looking game I’ve ever played, I will say that this one is a very close second. 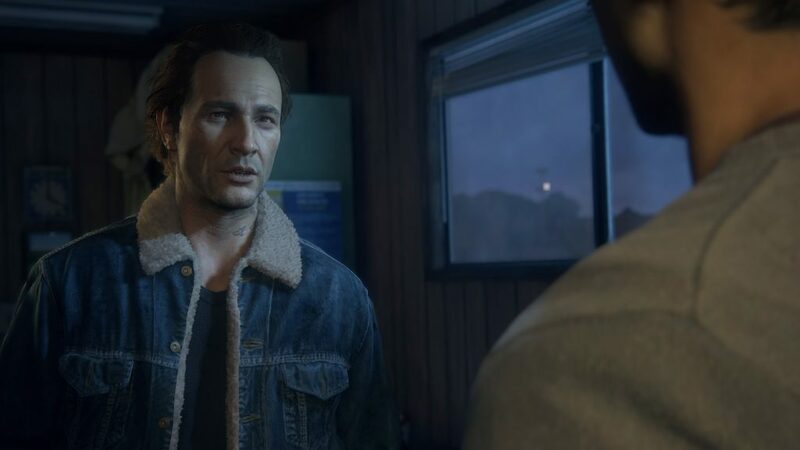 From the very first scene right until the Epilogue faded to black I was blown away by the attention to detail, the lighting, the textures, the reflections and even the animations. The only complaint I have is that there were are times when the background environment details were really poor but you hardly ever noticed unless you made an actual effort to look. It was rather impressive to see a console game with such detail. In fact it’s so detailed that there is a “Photo Mode” where you can freeze the game at any moment and move the camera around a bit. 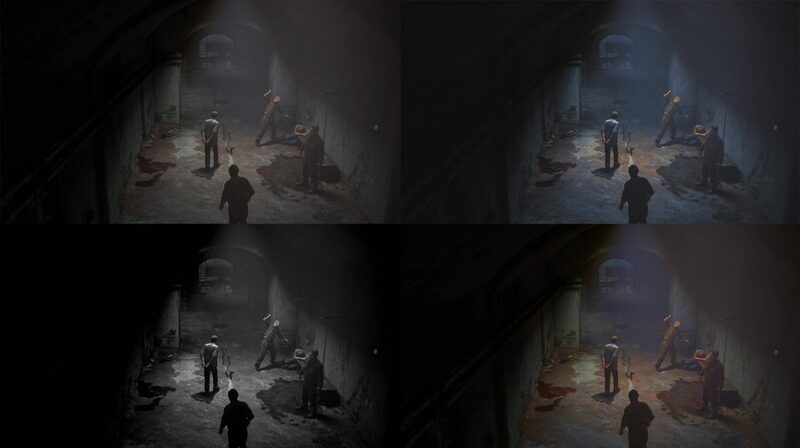 You can even play around with filters or nitty-gritty settings such as adding grain or changing the brightness. It says a lot for developers to feel so confident in the quality of their work to add a mode where you can pause and inspect everything in the environment at that specific point in time. There are lens flares, floating particles of dust and leaves which will float around if you are in an area with a lot of trees. Every environment in every chapter was different. I never felt like I was trudging through the same looking place over and over again. Each environment was beautiful. I had numerous moments where I just stared at the screen in amazement. The overall graphical presentation truly is the biggest selling point of this game. Uncharted 4 has a very specific and unique type of gameplay. At its core it’s a platformer and a puzzle game where you traverse the environment to get to the next point of interest. A cutscene would play which would lead to either a puzzle or an action scene. What is unique about Uncharted is that it combines all of that with an insane amount of over the top action and gunplay, making it a very cinematic experience. However, your hand is being held the entire way through. It was a rather interesting experience. I am use to hand-holding as most single player campaigns practically guide you around with some form of User Interface (UI) but this was not the case. While I will say that I absolutely hated the hand-holding, I will say that it was done in such a way that it gave the illusion of freedom. I often found myself looking at where I need to be and seeing at least two ways to get there. This makes it seem like I have a choice in the direction I want to go, meanwhile both routes end up leading to the same place. This isn’t an open world game. It’s extremely linear. Most games have collectibles in some form or another and that greatly appeals to me for some reason. In Uncharted 4 these take the form of treasures as well as journal entries that are scattered around the route to your destination. Some of them are easy to find but most of them require a bit of searching. This made treasure hunting challenging as I had to decide if I want to just experience the game or go search every corner of the linear route for collectibles. Once you find a treasure you can inspect it as well as see the long list of undiscovered treasures. The journal entries are collected in a journal that Nathan carries around. You display the journal by using the PS4 controller’s touch pad. It’s rather neat to be able to go through the journal later in the game and see and read everything you’ve found. Controlling Drake is the simplest thing in the world. Traversing, fighting, shooting, swimming and swinging never becomes a chore or too difficult. Everything just works really well. The cover mechanic was very good as well, sometimes getting intense as bullets whizz past my head and tear through objects around me while I wait for the enemy to reload. There is also the option to be stealthy instead of rushing into combat. This allowed me to change the way I was playing without there being any consequences. There was one gameplay mechanic that was missing and it annoyed the crap out of me. There is no sprint button. I understand that the game holds your hand and directs you all the way through, but the fact that the speed at which I move through the game was being controlled really got to me. All my life I’ve been playing games where I can sprint as long as my stamina bar allows. I even read the little controls pamphlet to make sure that I didn’t miss it. So no, there is no sprint button. 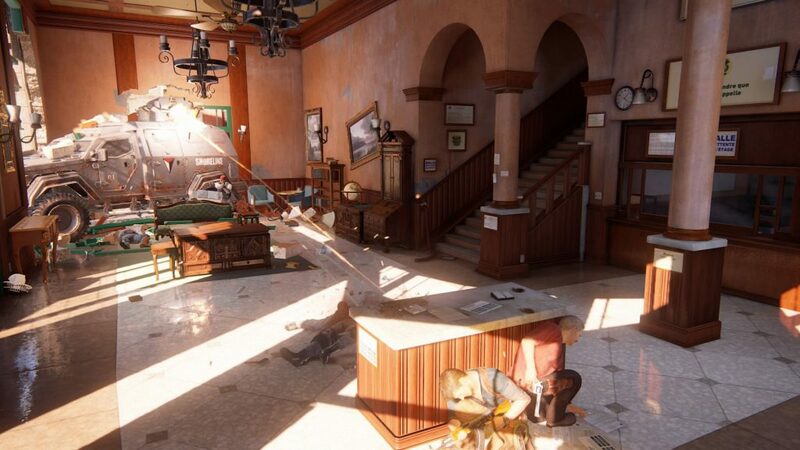 There is no such thing as a perfect game but if Uncharted 4 had a sprint button it would be pretty close to perfect. The UI was extremely minimalistic and I loved it. There were no health and stamina bars or a compass or even a mini map. While you are exploring the environment there is absolutely no UI on your screen. The only time there was an active UI was when you were in combat and even then it’s just an icon of the gun and an ammo counter. This allowed me to really take in and enjoy the environment and to explore without being constantly reminded what my quest was and in which direction I’m supposed to go. Another small touch that I enjoyed was that whenever you started the next chapter, the chapters name would appear at the top of the screen along with the chapter number. Sometimes there are games where the soundtracks is memorable and sometimes there aren’t. Uncharted has some great sound effects. The vehicles, guns and explosions all sound extremely realistic. The music and ambiance was there but it was never something that overwhelmed me. It blended in perfectly. Most of the time you have a companion with you; usually Sam. Sometimes there are these moments where the characters just make casual conversation. It may not seem like a big deal but I remember playing games growing up where you and your companion don’t utter a single word unless it’s a cutscene. Having a character comment on how you missed your rope throw makes a huge difference. It would have been awesome if those conversations were random but they are scripted. Uncharted 4 really took me by surprise. I expected a lot and it just about delivered on everything I wanted. It’s the perfect blend of action, exploration, puzzles and storytelling. Naughty Dog has perfected their craft over the last few years and they will only get better. This really was the best way to kick off my PlayStation experience.